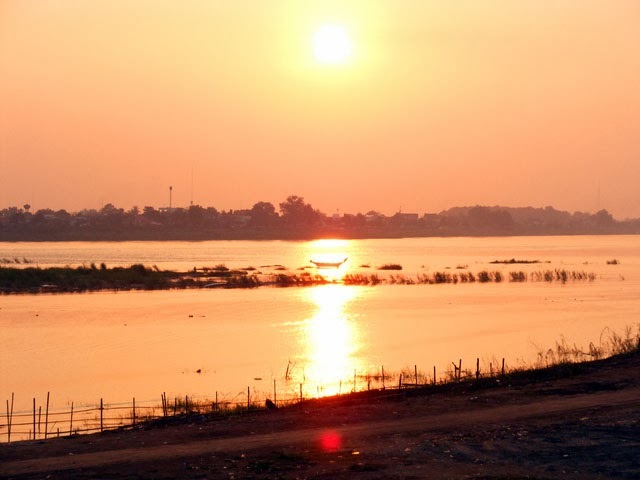 It's Adventure Time: vientiane, captial of laos. what else can i say. We left Luang Prabang by bus for the capital of Laos, Vientiane. 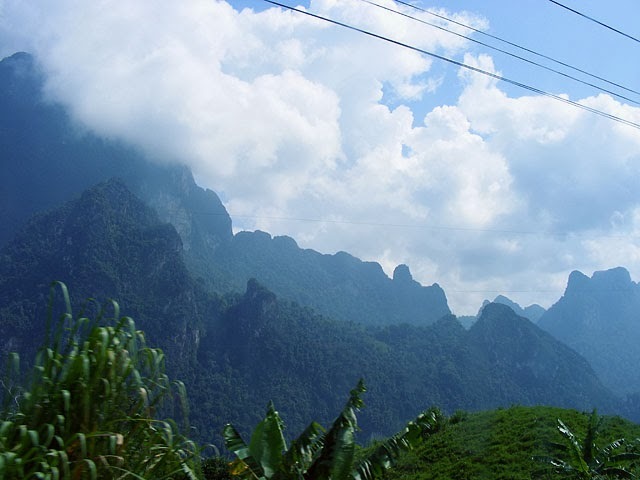 The ride was one of the curviest of our lives, but through some really scenic mountains. Lots of people take a night bus, but I can't imagine how they stay in their beds through all the twists and turns. 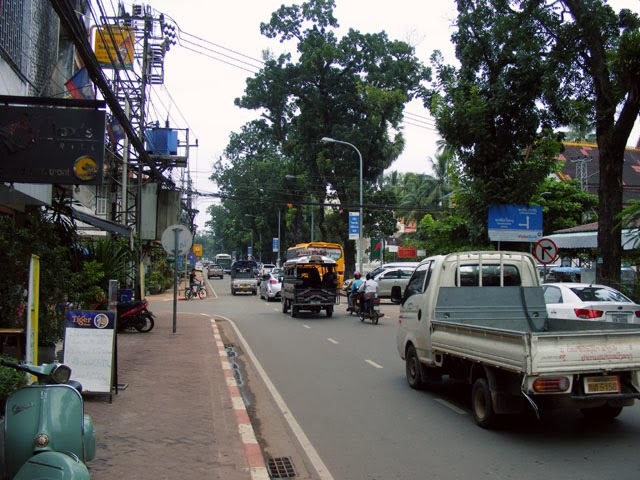 The city of Vientiane doesn't have as much character as Luang Prabang. 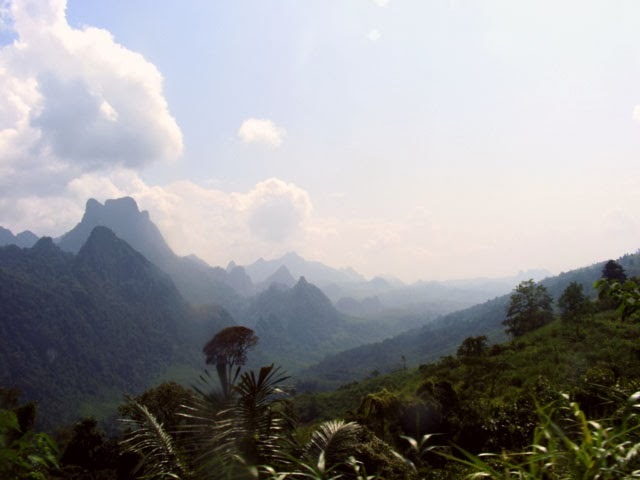 I realized that I used the word amazing a lot in the previous posts about Laos, this marks the place where that stops. I don't have anything bad to say about the town, it just felt like your generic SE Asian semi-big city. Vientiane is on the Mekong river and Thailand is literally right on the other side. Here though, the Mekong isn't cutting its way through mountains, so it's not as spectacular of a view. We stayed only two streets off of the river in the middle of the Farang area. The main drag our Guest House was on in the city. Four brother and sister kittens who we fed chicken to. 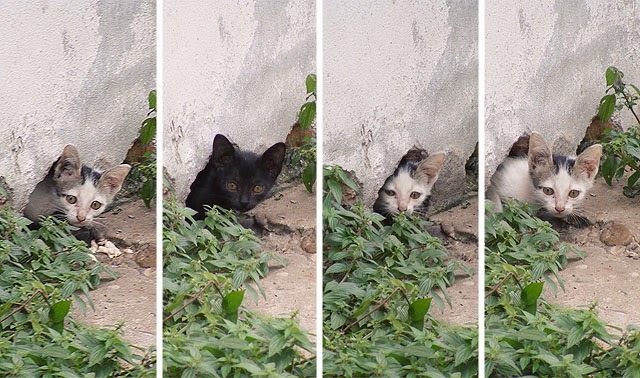 Yes, these are four separate kittens. 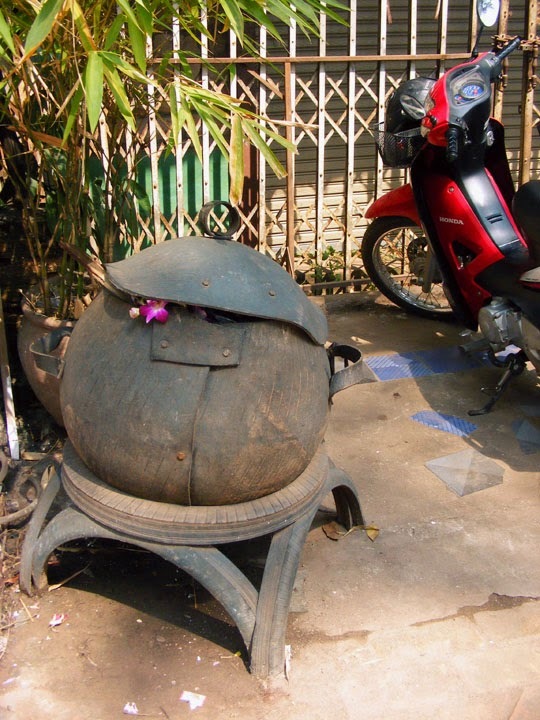 A common sight in Laos, the cauldron trash can made from old car tires. Fitting we were there just before Halloween. 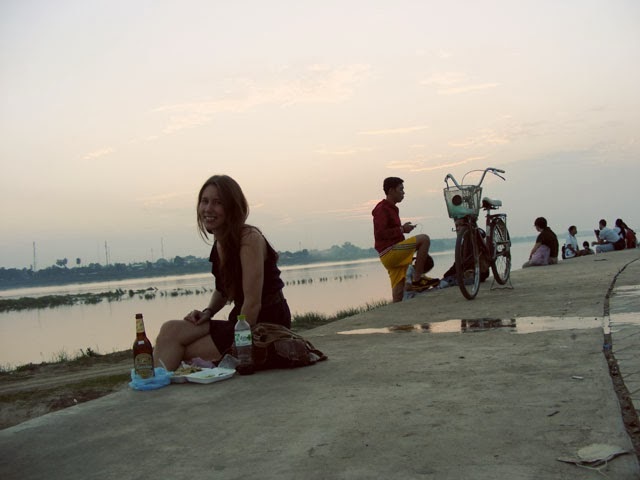 Our favorite thing to do was eat dinner down by the Mekong river. It made us feel slightly like we were back in Paris... but not really. 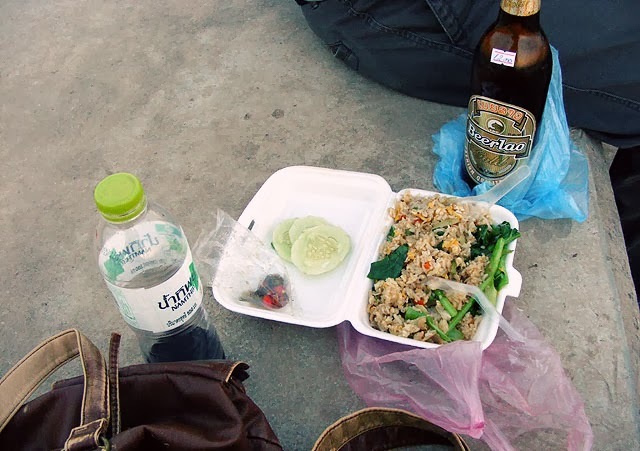 Instead of baguettes and cheese, we had fried rice and instead of a nice bottle of red wine, we had Beer Lao and cheap Asian wine in a plastic bottle. But the sunsets were sometimes nicer than in Paris, at least. It kind of looks like the Seine. Kind of. Sunset over the Mekong, looking into Thailand.